Florence Belle (Herbert) Hoekstra passed away peacefully at Borgess Medical Center in Kalamazoo on Wednesday, January 23, 2019 at the age of 81. Florence was born on June 22, 1937, in Plainwell, the daughter of the late H. Edward and LaBerta (Buskirk) Herbert. She married the love of her life, Albert Hoekstra on June 4, 1954 in Martin. Florence was very proud to be the oldest and only sister to seven younger brothers. She cherished time spent with family and friends. She and Albert spent several years in California and North Carolina before returning to Michigan. They also enjoyed wintering in Florida where they made some wonderful friends. Florence was an avid reader, loved to play cards and socialize with family and friends. She and Al spent many happy days attending blue grass festivals near and far. She will be missed but not forgotten by many. 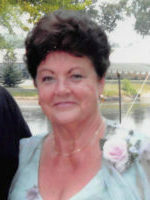 She is survived by her husband, Albert, son, Albert Jr. (Patsy) Hoekstra; two grandchildren, Jon (Amber) Hoekstra and Vanessa (Justin) Tillison; four great-grandchildren, Madelynn, Owen and Everett Hoekstra and Mason Tillison; her brothers, Barry (Linda) Herbert, Frank (Kathleen) Herbert and James (Terri) Herbert; sisters-in-law, Grace Herbert, Gertrude Hoekstra and Marlene Hoekstra and many nieces and nephews including a special niece, Sarah Gorton. She was preceded in death by her parents and brothers, Oren, Lee, Max and Steve Herbert. Contributions in memory of Florence may be made to Otsego District Public Library. Embracing in love and prayers. Lovely lady in and out. Rest In Peace. So sorry for your . God bless you with peace, comfort, love and guidence. What a loss . She was a great lady, always so happy. So very sorry for your loss. Praying for peace and comfort for all of you. We are so sorry for your loss. May God put His loving arms around you and give you great comfort. Sending our love for your peace and comfort, during this sad loss. Shared many precious and joyful experiences with Florence and OP. Canoe trips, dinners at their house in Martin, and especially their second wedding where they reaffirmed their vows in the yard. Please let me know when the remembrance will be held. So very sorry for your loss. What a great gal. Was so excited that she was gonna be a neighbor of mine at Bayberry. My prayers will be with your family. Florence always had a wonderful smile and was a friend to everyone. She will be missed. so so sorry..Prayers to the Family.. Sorry for your loss. She was a wonderful person,, she Will be missed. She helped me decorate my house. While Albert Sr. Remodeled our home. Such a beautiful lady! I have such great memories of her: camping at Miller Lake, parties at their house, numerous family celebrations, and visiting them at their “ocean front” home in California and Carmel Valley. I can still see her big smile and hear her laugh. She will be missed. All my love to Op and all of the Hoekstra’s. We will miss our “aunt” Florence…her hugs & kisses, all the great times together camping at Miller Lake, cards, visits, lunch and so much more! She will be dearly missed. You are all in our thoughts and prayers. We have many great memories. She was happy and fun to be around.